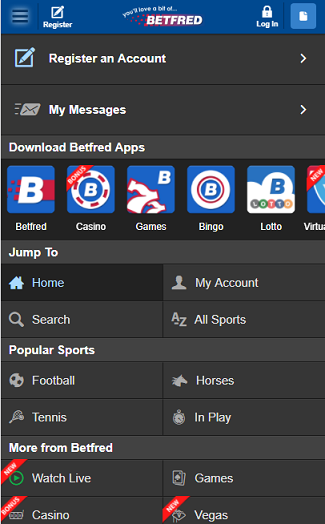 The Betfred App is compatible with iPhone and Android handsets and lets you do everything through your mobile. The App isn’t in the App Store or Android Market – you can install the App by going here on your mobile. 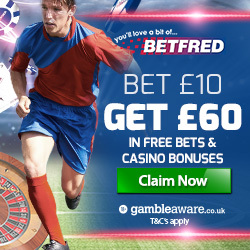 What can you do with the Betfred App? In a word, everything. New customers can register an account through the App and existing customers can login using the same details for betting online. You can bet on all sports, with singles and multiples, browse the latest prices, make deposits or withdrawals — all from you mobile phone. The most exciting feature is being able to Bet In Play using your mobile, this really takes in play betting to the next level.